As part of the ESRC funded Thinking Futures Festival, University of Bristol academics, children and civil society organisations will came together to explore Children’s participation in city spaces: what prevents children playing in city spaces and how do we best capture their views? Involving children from primary schools across the city, supported by Dr Debbie Watson, Professor Angie Page, Room13 Hareclive, Playing Out, Architecture Centre. Children talked, presented films shared their ideas before creatively supporting everyone in the room to identify ways of making Bristol a more child friendly city. 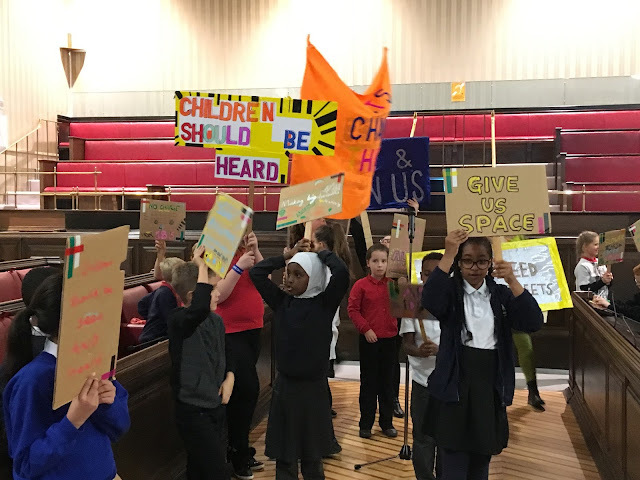 The children then paraded with their placards to the City Hall Vestibules, where a pop-up exhibition encouraged BCC staff and the public to shares their ideas and pledges. 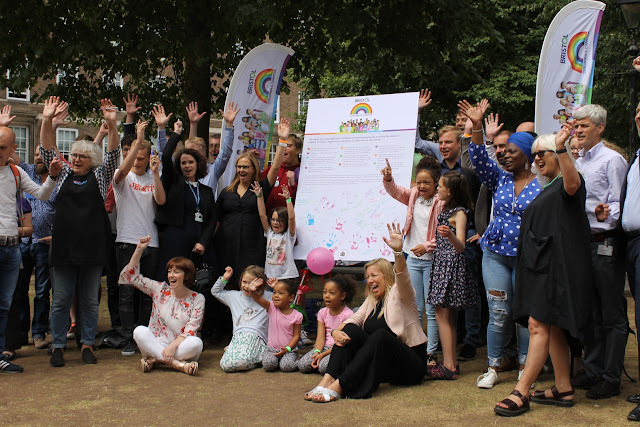 The event was opened by Bristol Mayor Marvin Rees.